Anyway, it certainly seems the market is more than just a bit saturated, as they all seem to sell the same huge range of cases in a wide variety of designs and colours and even online it doesn't really get much better. That being said I've dabbled with this latest trend, first off I bought an turquoise-cyan ombre number for my 4S, then I even designed my own, before finding a 'My Little Pony' style Unicorn. 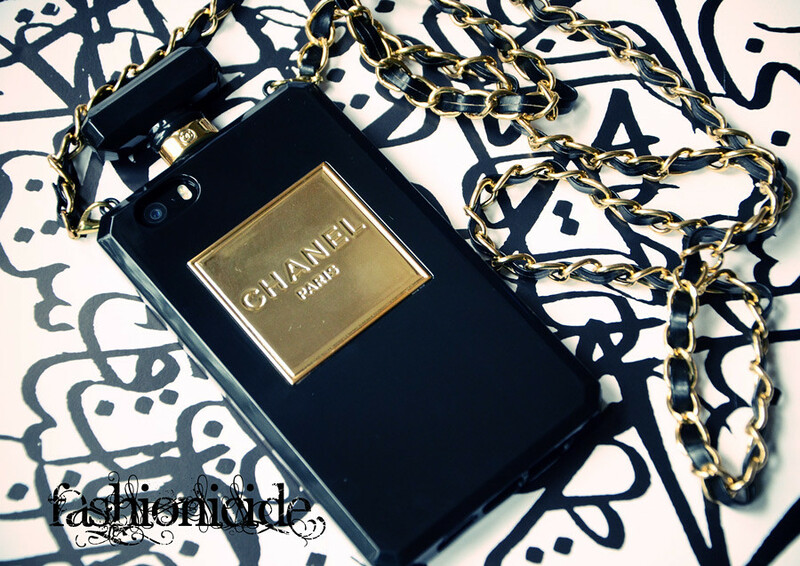 Now that I've upgraded to the 5S, I've found the perfect case in the form of a replica Chanel No5 perfume bottle! It's a nice piano-black silicone number, though not of the softer variety you may be thinking of, that grips on to the phone snugly and unlike those pesky 4S covers, it's easy to remove without having to either break the case or your nails! 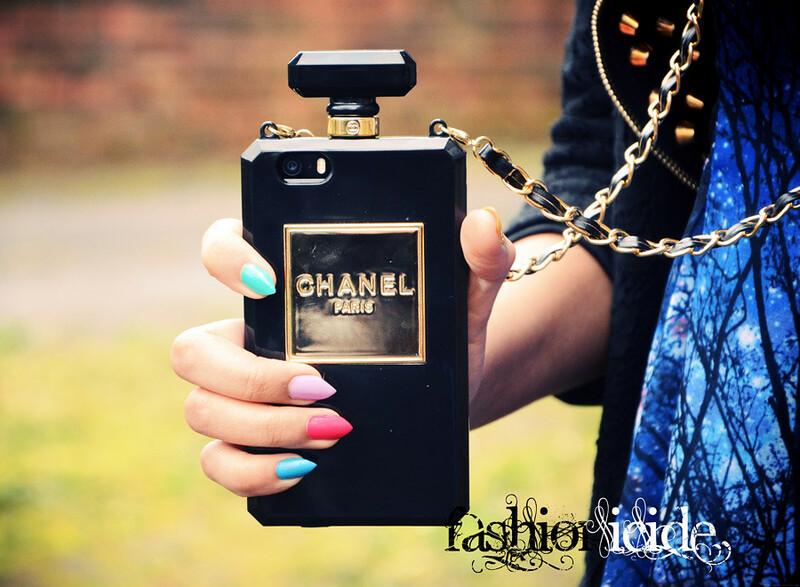 The case also comes with a chain, making it not only resemble a perfume bottle, but also a mini handbag. Cute! I purchased this from my favorite Instagram Boutique: Dusty Diamonds for a snip at £20! I've grown increasingly wary of shopping on instagram of late, as it seems there's a bit of a bandwagon full of people trying 'get rich quick' gathering a head of steam, but most of them sell pretty much the same items - yawn. Not Dusty Diamonds though, they seem to keep their range quite fresh and don't cause any unnecessary hassle. Oh and they're from Manchester. WIN! Aww I remember when I was younger shopping for cases for my 3310! Can't believe you found this gem of a phone case on those Market Street stalls! Great find, also love the print of your dress! Okay, it's officially, I need this phone case in my life! 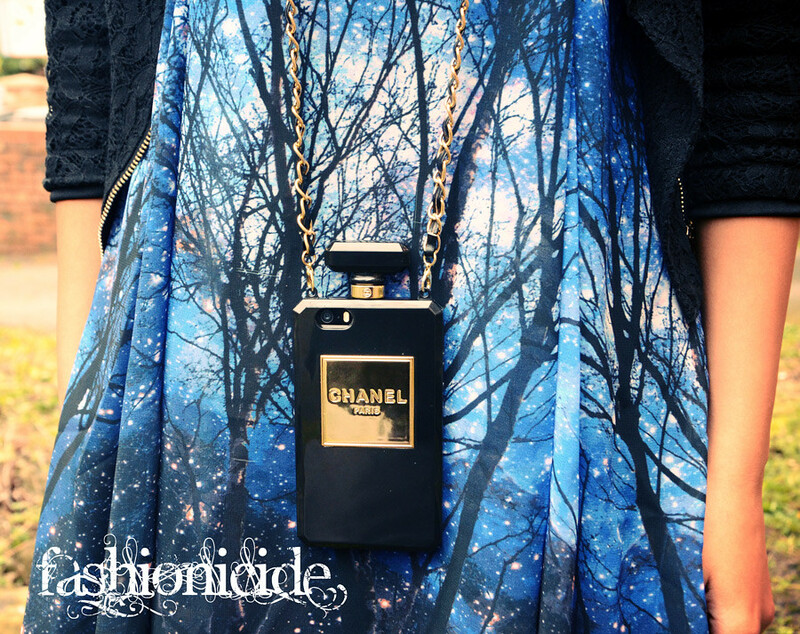 The chain just makes it - I've seen faux perfume bottle cases before but none with that detail, and it's brilliant. I want this, so awesome! Love it, a really fun piece of fashion! I really do need this in my life. Oh lordy, I love it! Definitely the coolest phone case I've ever seen. this is so cute, it really looks like a real bottle! i'd love to read a whole post about your nails!!!!!!!!!!!!!!!! 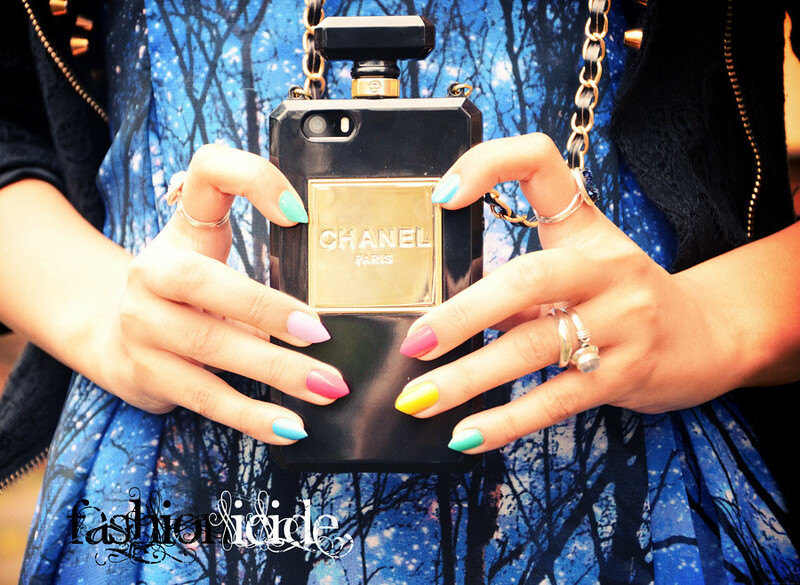 bright coloured claws? HELL YEAH!!!!!!!! Each woman needs to feel alluring when she goes out at night and there are few preferred approaches to do this over by wearing a flawlessly outlined accessory studded with shining Jewelry Custom Designer. 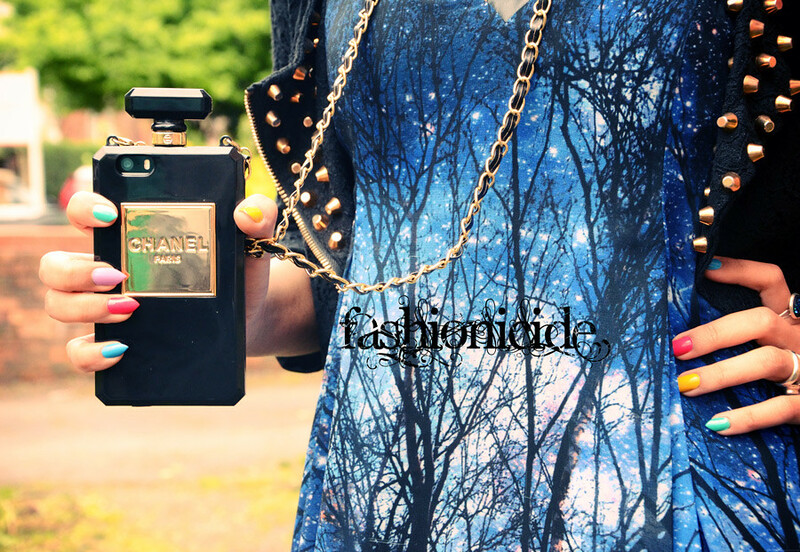 It is nice to see this perfume necklace and i appreciate your effort.